« What was I thinking??? Anyway, here’s what’s coming to you eGirls!!! Did you ever go somewhere that water was not available for drinking? There may have been soda, or milk, or juice but no water? And no matter what you drank, it didn’t satisfy you? Did you ever face a trial when no matter how you tried, you could not find relief or peace in the midst? Maybe you tried your favorite coping mechanism, but it just didn’t help. I faced such a day yesterday. After a long day of struggle and prayer, I got into the Word and began reading the book of John. I love all the gospels, but in the season I find myself now, I am loving the gospel of John. It is personal. It is written by a man who loved Jesus personally. Although the passages I read had nothing to speak directly to my trial, no major revelation, it brought me a sense of peace that only Believers can understand. I was thirsty for the Word. Very thirsty. And as I drank of the Word, I was satisfied, and realized it! When Jesus was at the well with the Samaritan woman, they were talking about water. She was talking about the water in the well, and He was talking about eternal life. 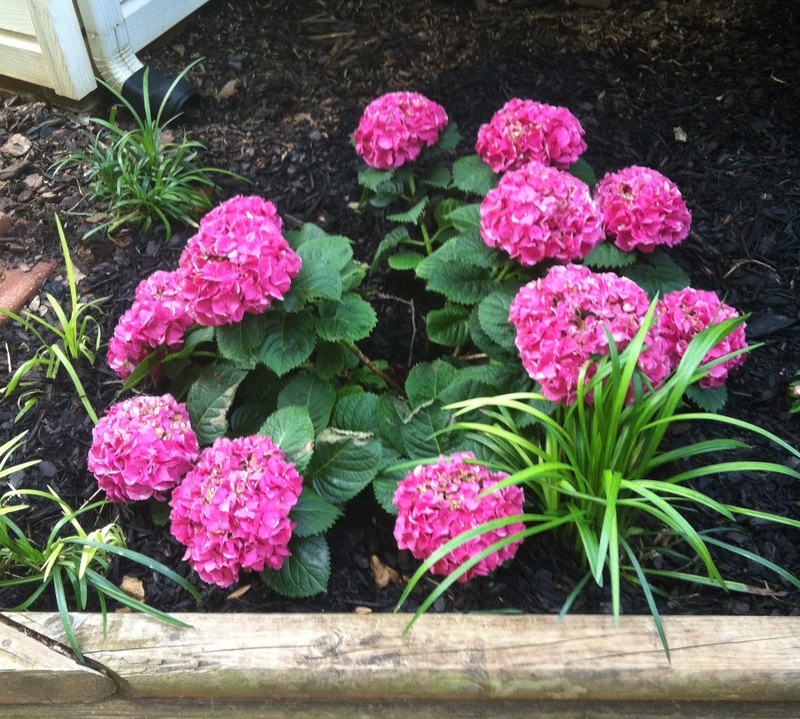 This morning as I was getting ready for work, I thought of the hydrangeas that we planted about three weeks ago. They are BEAUTIFUL! But yesterday evening, they appeared to be almost dead. They were shriveled up and lying on the ground. Randy and I watered them twice, hoping water was what they needed. This morning, they were alive and full! That’s what that water did for them. And that’s what the Living Water did for me last night. I feel alive and full today, even in the midst of the difficulty I am facing. Drink of the Living Water today! I just love to watch people and their water bottles these days!!!! They carry them every where they go, they cling to them like a one year old and the’re milk bottles. Some of them have there fancy cups or there favorite brand of water. Some of the bottles just feel right in your hand, others don’t. Me I like the small 8 Oz. water bottles from Aldi. It fits just right in my hand and satisfies me everytime. Its just that I don’t waste it or feel too full from drinking it they are just right for me. But even more than my little bottle of water I have found that If you are looking for the perfect drink of water, start remembering all your blessings , start thanking Jesus for the goodness and mercy He pours out on us everyday, thank Him for filling you with His sprit; you will soon realize that He is the only thing you have been thirsting for all along..